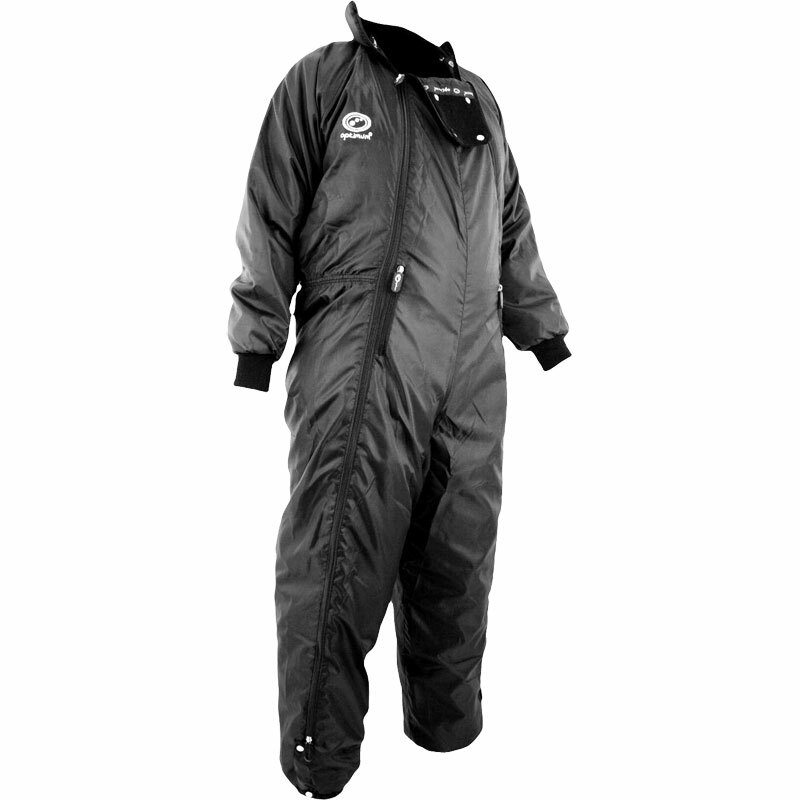 The Optimum ® Sub Suit is a thermal coverall designed to lock in warmth and keep out windchill in the harshest winter weather. Full length zips and fully opening ankle cuffs mean that boots can be left on and the suit can be quickly put on and taken off over any kit. Elasticated wrist and ankle cuffs. This suit has been a great purchase. Kept the subs warm on the touchline at for Wetherby RUFC U12s. The sizing was spot on and the material is good, hard wearing and easy to clean. The pockets are very useful too, keeping the hands warm ready for getting into the action. 5 out of 5 Top Quality!! Bought 5 of these for our U14 team, brilliant quality and very warm, well worth it. At this price you won't get better!! Would def buy again. My good lady was most pleased not to freeze after rowing. Excellent bit of kit! Having a full subs bench on match day with these on keep the guys warm and ready for action. Good buy and great price. ?? The sub suit is excellent way to keep warm and dry when out and about given the weather we have. I would have no problem recommending it to others and have done so. Really pleased with the sub suit. It is not too bulky, but still warm & comfortable to wear on those cold chilly days. Side zip allows for easy removal when you need to take it off. Good value for money. Works very well, keeps the wind off & keeps you warm. However is only shower proof, heavy or consistent rain will come through the outer shell. I bought the sub suits for our young players and they have made a huge difference. Excellent value for money and are extremely warm. This is a great item and is worth every single penny. I could have not spent money any better if i had tried. We where at a tourament and it was wet wnd very windy, and my daughter was not evan cold. I say thank you so very much. 100% happy with my purshace.